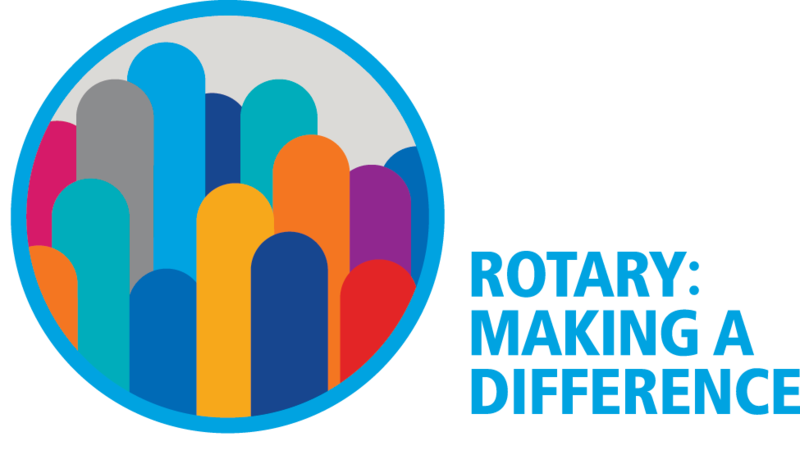 The Rotary Presidential Theme for 2017-2018 is ROTARY: Making a Difference. Here is RI President Elect Ian H.S. Risley's summary. Some years ago, a new acquaintance asked me what should have been a simple question: “What is Rotary?” I opened my mouth to reply and then stopped short with the realization that I simply did not know where to begin. The problem wasn’t that I didn’t know what Rotary was. The problem was that Rotary was — and is — too large and complex to easily define. We are a member-based organization, a club-based organization, and a service based organization; we are local, regional, and international; we are community members,business people and professionals, working and retired, active in nearly every country in the world. Every one of our 1.2 million members has a unique set of goals, experiences, and priorities; every one of us has a unique understanding of Rotary. To me, Rotary is defined not by who we are, but by what we do — by the potential that Rotary gives us, and the ways we realize that potential in meaningful and lasting service. Rotary has been around for a long time: 112 years. In some ways, we’ve changed tremendously, as we’ve grown, matured, and adapted to the changing needs of our members and communities. In our fundamentals, however, we remain the same: an organization of people with the desire — and through Rotary, the ability — to make a difference in our communities, and the world. We answer the question “What is Rotary?” with our actions, by making a difference through our service. As an organization, we recognize how important it is that the world understand what Rotary is, and what we do. At the same time, we know that it is more important than ever to allow our clubs to define Rotary service for themselves. As Rotarians, we have more flexibility than ever to decide how we want our clubs to meet, work, and grow. We’re focused more than ever on making sure that Rotary reflects the people it serves, with more women and a more diverse membership. And we’re working hard to ensure that Rotary remains the world’s pre-eminent volunteer service organization, by emphasizing long-term planning, sustainable service, and continuity in leadership on every level. In 2017-18, we will answer the question “What is Rotary?” with the theme Rotary: Making a Difference. However each of us chooses to serve, we do it because we know our service makes a difference in the lives of others. Whether we are building a new playground or a new school, improving medical care or sanitation, training conflict mediators or midwives, we know that the work we do will change people’s lives — in ways large and small — for the better. Whatever motivation each of us had for joining Rotary, it is the satisfaction we find in Rotary that causes us to remain, the satisfaction of knowing that week by week, year by year, we are part of Rotary: Making a Difference.